Tips to help you reduce your carbon footprint for free. Free? Yes, absolutely free. Do you want to be a Waste Warrior? "How does it feel now that the rest of the world is catching up with you?" He had interviewed me for a Food and Drink programme on local television. That's how he knew about my "one bin a year" waste habit and like many people, he always takes the opportunity to tell me what he's managed to change to reduce his waste. It does really feel like we are nearing the tipping point, thanks probably to the brilliant effect of the BBC's Blue Planet 2, but perhaps also the growing number of Waste Warriors like me who are talking, blogging and chatting to people about how they've reduced their waste. 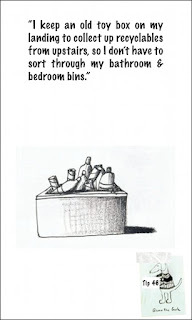 I really do feel that soon my one bin a year lifestyle could become the "new Normal"! While I was busy making some films about how to reduce food waste over Christmas, and writing a new Zero Waste campaign guide for schools, my partner in grime Rachelle Strauss was downloading her own zero waste expertise into a fantastic new Waste Warriors course - a series of podcasts that help you take action to gradually get from where you are to where we are in a month (well, that's if you do the 5 minutes a day, every day). Of course, the FOMO kicked in and I had to do the course myself to experience it and to check that I was doing everything I could to be the best waste warrior I can be. Did I learn anything? Have I made any changes as a result? Given that the course is based on the many discussions that Rachelle and I have had over the 5 years we've worked together, I knew that I'd be doing most of the things she would be suggesting. And of course I was. You can't live on one bin a year without doing most of them. But yes, I did make some changes. Firstly, the course raised the issue of plastic in tea bags. 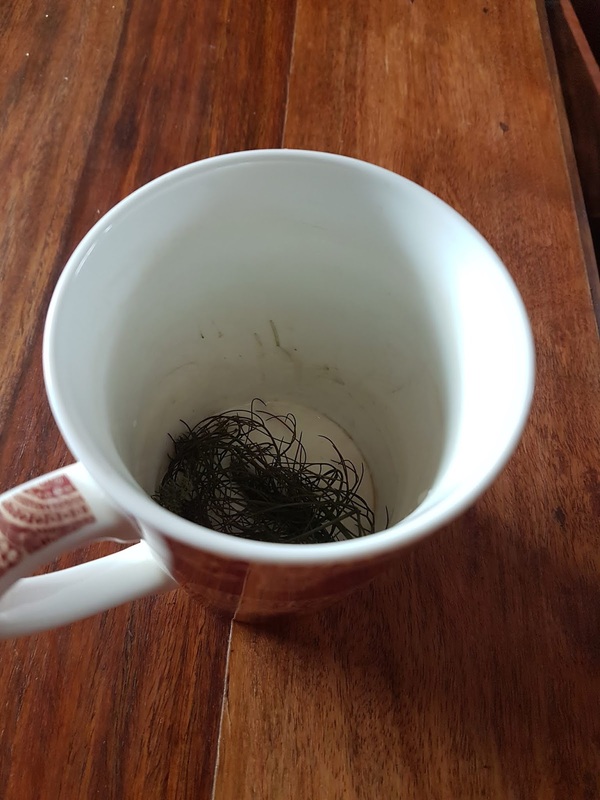 In 2015, when my family did our year without single use plastic packaging, we swapped the tea bags for loose leaf tea that we bought straight into our own containers. The shop I bought from at the time has sadly closed down, but I can now buy loose-leaf tea in Whittards. 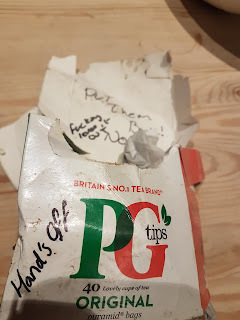 Back then my reason for changing to loose-leaf tea was because so many tea brands wrapped their cardboard boxes in film plastic - or even more annoying to me, put their tea bags inside a non recyclable silver bag (made of mixed materials - hence too hard to recycle). But I had no idea back then that tea bags themselves were sealed using plastic. 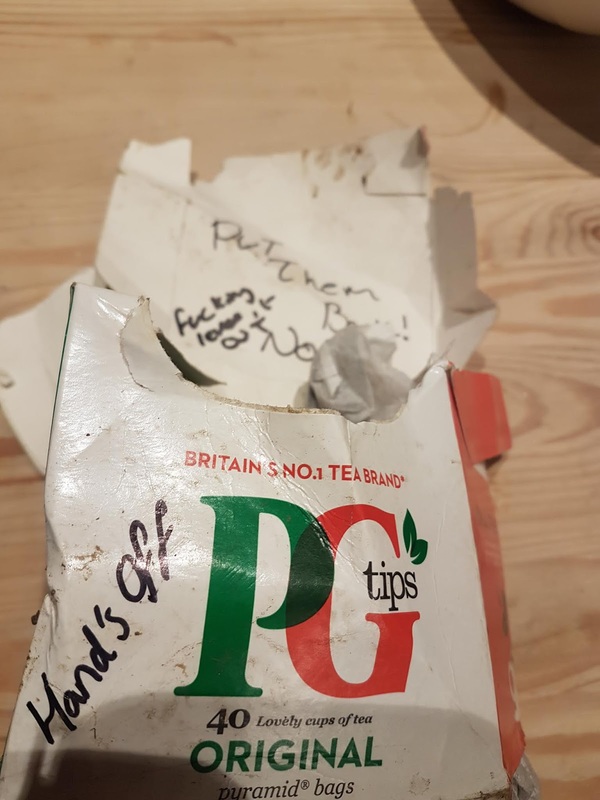 In fact it was only last year that Garden Organics changed their advice from saying that you can compost tea bags, to suggesting that you don't compost them at home, because of this plastic content. Anyway, thanks to the waste warriors course I've gone back to drinking loose leaf tea - and, do you know what? It is soooo much nicer! 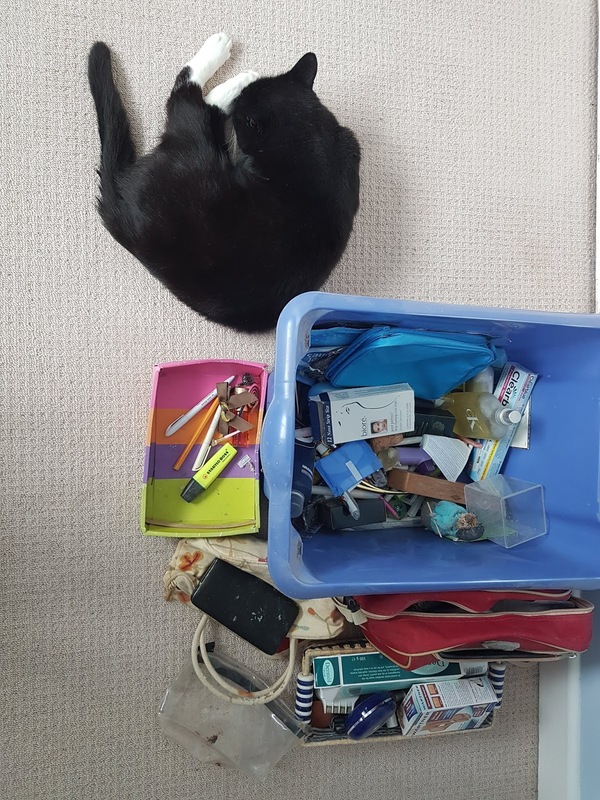 Another thing that the course pushed me to do is to tackle my growing mountain of things that could be given away and therefore put back into use instead of lurking in "Harry Potter's Bedroom" (everyone has one of those, right?). My Dad had two discarded fleeces that he gave me to dispose of as I saw fit. I washed them, but they still came out covered in those sticky things from the garden and the silky strands that cobwebs turn into when you wash them. I got out the ironing board and clothes brush and while I was listening to an audio book, I painstakingly went over every inch of the fleece to remove these sticky bits and now it is ready for the charity shop. I still have the other one to do, but I'm starting tonight. Change number 3, is the decision to pick up more litter. I go running. Never as often I would like, but I do manage to get out there occasionally. My new habit is to run past my house for a certain distance and then walk back picking up the litter I see on the way. This is today's haul. I'll wash and recycle all of this in the various schemes I use. Better than it staying in the hedge and finding its way to the ocean one day. So, if you feel like you're ready to be a waste warrior, or you're already one like me but just want to take it to the next level, I do recommend the course. Here's the link. I was out jogging just now and picked up this from the verge! I couldn't believe that someone is not willing to share their teabags, yet they are prepared to let them rot on the roadside. A sad waste. There seems to be more and more rubbish on our roadsides these days and the problem is getting worse not better, I feel. It is not just packaging that has gone crazy, but our whole attitude that we can just throw something away and not worry about it any more. More than ever this year, I want to do my bit to minimise waste, encourage others to do the same and to be really strict with supporting companies who are making the change to a circular economy. That's my wish for 2019. To help me maximise this target I've signed up to Rachelle Strauss' Waste Warriors course as although much of the content is what I cover in my books, I know there are steps further into the course that even I've not dabbled with yet. Without wanting to give away too much of what's in the course the first two days are all about motivation and what makes you want to reduce your waste. What's your big why and what will keep you sticking to your new principles when you get short on time and tempted to waver. I've been on a zero waste journey for such a long time now, I realised as I was listening to the course (it is a daily 5 minute audio accompanying a simple call to action), that I have forgotten my own 'big why'! What made me start to radically reduce my waste in the first place? I really, honestly can't remember any single incident that made me decide to reduce my rubbish. For me it is just that I don't like waste! So I had a little look back at the pictures on my phone and found this one. For now this is my big why! This really shouldn't be necessary these days. We have the technology and the understanding to be able to preserve resources. Manufacturers and suppliers just need that little push in the right direction, to use that technology and understanding. We, the consumers can give them that push. Let's make 2019 the year we do things differently - the year we make that shift to valuing our resources rather than throwing rubbish away. Time for a cup of tea? 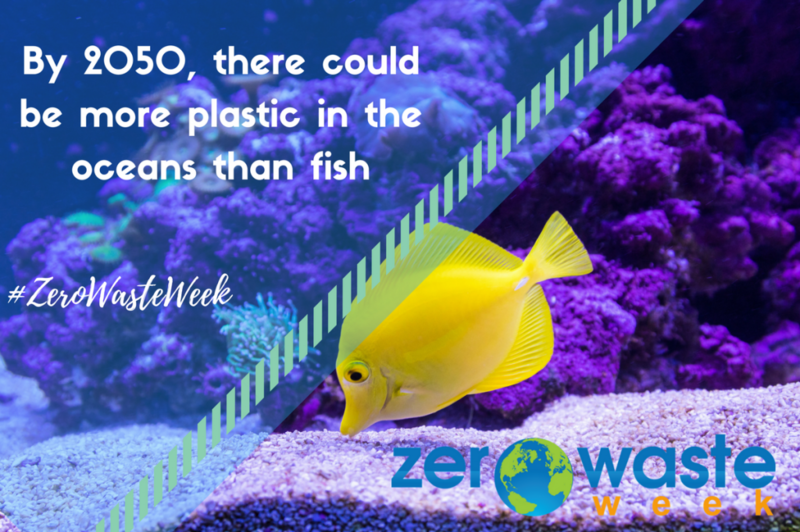 So on to the final day of Zero Waste Week 2018. I always enjoy taking part, and I always learn something. This morning I used up one of those mini shampoo bottles I'd brought home from a hotel. I'll recycle the bottle - and it is easily recycled in the kerbside collection. This afternoon I am going shopping for tomorrow's cricket tea and for a cricket fundraising event, where we will be cooking up around 100 burgers and 100 hotdogs. This morning I thought about buying rolls for the cricket tea in my reusable veg bags, but I have a feeling they might be significantly more expensive than the packs of 6 or 8 rolls, but I don't have any way of bringing home 200 rolls for the event without them being in plastic. However, I'm going to do my best to find big bags of rolls, so that at least the bag might be reusable in some way and the rolls will probably be cheaper. 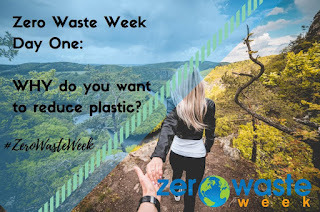 If you've taken part yourself and had an email about a survey, please do fill it in as will be really helpful for future Zero Waste Weeks (hoping that they will long continue, of course). My attitude to plastic is actually the same as all packaging. 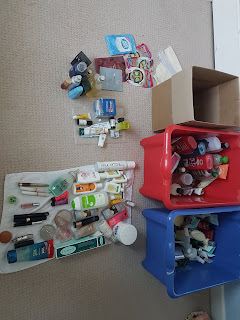 I don't want unnecessary packaging so where I can refuse and reuse then I do, mostly, though I've identified some improvements ... those mini toiletries. I am going to take my own. I have found a few products that I have been looking for, such as bamboo toilet brushes. I have learnt that I am not the only one who has had trouble with my washing machine growing mould so I feel better now that it is not just me. I shared my solution (see yesterday's post) and again feel better that other people found that too. 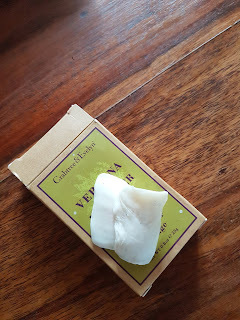 I learnt about some great companies who are helping make life a bit easier for people like me who want to minimise package and use sustainable products that last. It has been a great Zero Waste Week (again). Day four of Zero Waste Week is all about cleaning materials. 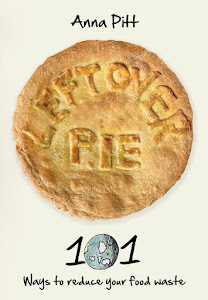 This was a topic that came up at Future Planet's Sustainable Living 'Adventures in Zero Waste' event yesterday evening. It was interesting to hear Kate Arnell, Presenter and Founder of ecoboost, talking about her experience of Zero Waste living. I know that some people think my obsession with minimal waste is extreme so it was nice to hear someone talking about all those things you do, all those decisions you've taken, no matter how big or how small. One question that arose, was that personal thing about whether she had children. I am just guessing that the person asking, did have children, and felt it was a whole lot harder. I think it probably is but in small steps it is doable. Ours was a gradual process of slimming our bins and changing our habits and probably only really started to get extreme by any sense when my children were in Primary School. But there is no point in worrying about the things we didn't do. It is all about what we feel we can achieve. I was really pleased all those years ago when my younger daughter came home from school so proud that she was the only person in the school that had a completely zero waste packed lunch. Today I like seeing that my (adult) children have cut open their moisturiser and toothpaste tubes to get every last bit out. I don't mind the collection of toiletries dregs they bring home when they vacate their various student residences. I like the phone calls about how to rescue food, like the fish and chips about to be binned at an event (the resulting fish cakes were great - and free!). I feel that there is a theme building with this year's Zero Waste Week. Aspiring Zero Waste or Zero-ish Waste all helps. No need to carry your trash around in a mason jar... just do what you realistically can do. Will I stop using the miniature shampoos in hotels? I think I will mostly start taking my own. If I can carry them home I can carry them there. I mean, just look at what I am prepared to bring home! Will I write to the hotels I stay in asking them to consider refills, probably not. Fortunately, when I go to events like Future Planet's inspiring event last night, I feel reassured that some people actually will. Which brings me onto the subject of consumer power. Businesses will give us what they think we want. How do they decide what they think we want? Through their sales figures of course. If we keep buying cheap rubbish, they will keep producing it. I am a firm advocate of voting with your pound in your pocket. So I was delighted to hear about Buy Me Once, the innovation by Tara Button who is aiming to show case and promote products that last. That's just the kind of thing I want so that I don't have to spend the hours researching products that are made the old fashioned way, i.e. built to last not built in obsolescence. I want to see 'built in obsolescence' become obsolete, don't you? I think Tara Button does too. Although I am mostly a charity shop chick, next time I need to buy something I can't get second hand I will be checking out that Buy Me Once website. Onto the topic of day four of Zero Waste Week, cleaning. The question was raised last night about eco cleaning products. Do they work? Someone mentioned the smell and mould problems if using eco friendly laundry products. Kate Arnell said her solution was to wash at higher temperature which, as she said, tends to fill green living lovers with horror. So I shared the advice I was given by the person who repaired my ailing washing machine. He said you need a really hot wash once in a while to kill the bacteria that will otherwise build up. He meant really hot. So every now and then when the sun is out I will wash some sheets at 90 degrees, feeling glad that I am getting most of that energy needed from my solar panels. Thank you sun! It is definitely less carbon intensive than washing things multiple times and buying a new washing machine every couple of years. The other thing that helps is essential oil. I use a few drops of lavender. 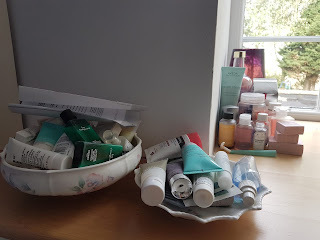 Should I stop using hotel toiletries and always take my own in mini bottles that I refill, or should I keep using them and bringing the remains home to use up and recycle the packaging? These toiletries have a cost to hotels. It is much cheaper to buy in bulk and refill, and there is less waste to deal with. I like to support hotels that have refillable product dispensers, but often where I am staying is not down to me as my hotel stays are mostly work related. So do I take my own mini toiletries and snub the hotel supplies. Or do I continue doing what I am doing now knowing I am eating into their profit a tiny bit. I think the hotel trade have worse things to deal with. Plastic straws should just be ditched altogether (supplied only on request for health and accessibilty reasons). Disposable hot drinks cups, plastic cups for water, disposable plates or cutlery... again get rid. If that is what's on offer I take my money somewhere else. Bottled water... I try to always take my refillable water bottle and I ask at the bar to have it refilled. So should I shun the mini shampoo? 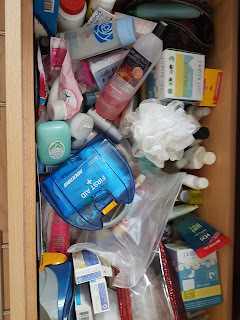 When I cleared out my bathroom cabinets I felt I was overwhelmed by plastic. When I sorted it all out I had one of those moments ... Do I really want to give all this away. I put back a few things I was given for Christmas but the rest is fair game. While having my moment ... I thought back to when I decided to donate all my plastic bags to my local charity shop. 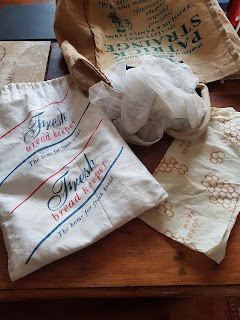 I had been taking my own reusable bags shopping for years so I couldn't believe the number of plastic bags in my cupboard. They were clearly breeding in there. But I took the decision one day to take every plastic bag to the charity shop. All of them gone. It felt great. I have never been short of a plastic bag since. There is always someone who brings me something in a plastic bag and thinks it would be weird to take it home again! I feel it is going to be the same with the toiletries. Judging by the collection I have now someone will leave something lovely behind for me to use up. But that was yesterday's challenge. It just goes to show that sometimes you need to mull things over or sort things out. 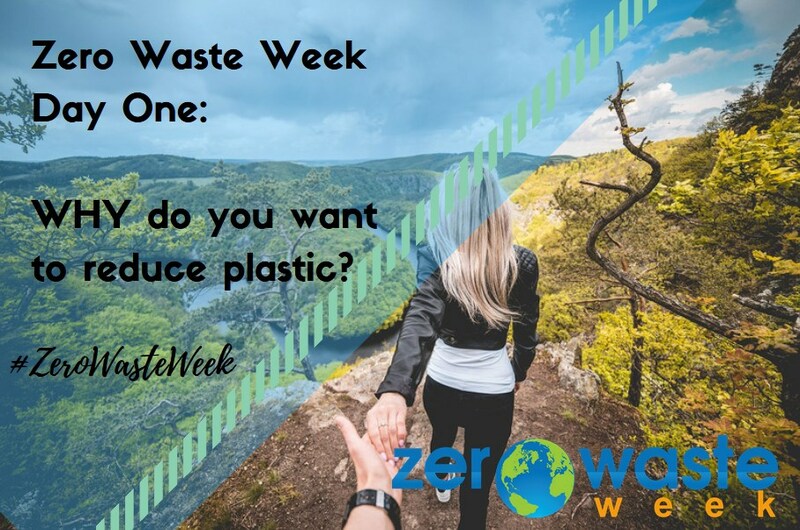 If Zero Waste Week expands to Zero Waste Month that's fine. Sometimes change, even if it is a small change, takes a while. You need to mull it over. Even by thinking about it that's a step in the right direction. Onto today's challenge, and we are in the kitchen. We do quite well in the kitchen and are close to Zero Waste shopping with the help of my Zero Waste shopping kit below. More on this tomorrow but my one more thing is going to be teabags. I got fed up with trying to search for zero waste tea bags...no plastic wrap outside or unrecyclable silver plastic wrap inside and no plastic in the heat sealing. So now I'm going to switch to loose leaf tea which is a bit more expensive but much nicer. I am saving a bit of money over the summer by using mint and fennel straight from the garden and inspired by someone I overheard in a wine shop: "We are drinking less, but better". That's my one more thing. 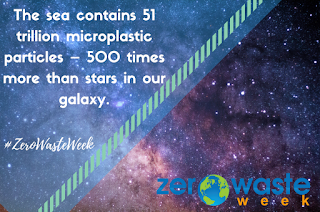 Today's #ZeroWasteWeek challenge is all about the bathroom. 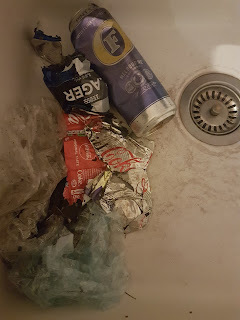 The recycling team that I do events for from time to time, tell me they think many people overlook plastic in the bathroom as an important thing to recycle. 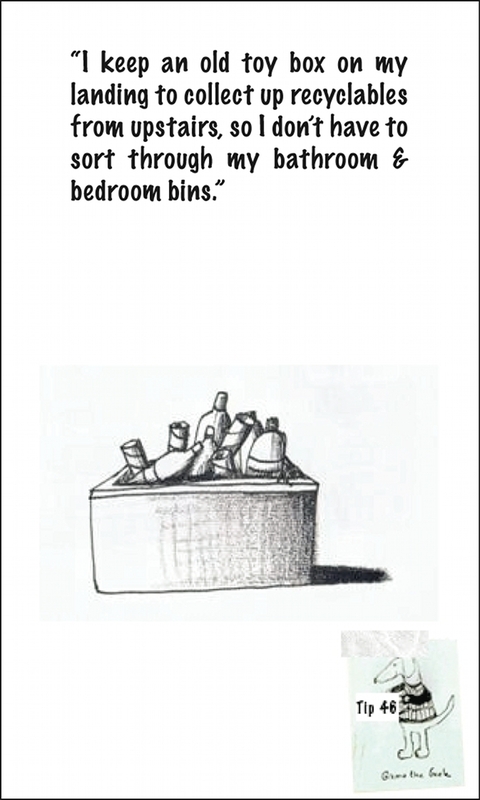 Years ago I used to find it an annoying task going through the bin in the bathroom to pick out what's recyclable. So I added a recycling bin and my problem was largely solved. Largely? Well Yes. You have to accept there are some people who are never going to get it! They see a bin and it is just a bin - I hear Junior Daughter's voice echoing: "Why would you put a beer can in the bin that says Food Waste on it?" Sometimes I join in with that despair. I walk past a bin with a clear plastic bag at the station that says "recyclables" and there's an apple core in it. Yet right next to it is a clear plastic bag for food waste. Is there no hope? Well I say there is. 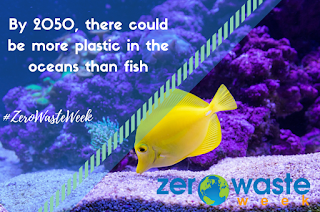 To me, #ZeroWasteWeek is a great time for raising awareness and being hopeful that just one more person (or more likely several thousand more people, given the huge impact #ZeroWasteWeek now has around the world) is going to think about one more thing that they hadn't thought about before. And it all helps. 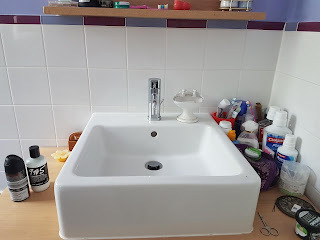 Although my family are now really good at recycling all those plastic items from our bathroom, what we are really not good at is limiting the amount of them that we buy or accumulate in other ways. It was many years ago now that I had the conversation with Mr Pitt (who travels a lot for his work) about what we think happens to all those miniature plastic bottles from hotel rooms that you've used it bit of and left the rest. Same for those brand new bars of soap. Well they are clearly going to be thrown away. What a waste! So we decided to bring them home with us. But then added to all those bottles and boxes of medicinal potions and lotions and things you need just occasionally or keep 'just in case' you need them, it amounts to something like this! 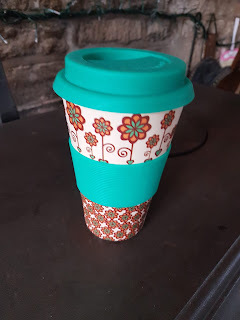 that I didn't manage to use up before switching to plastic-free alternatives. Surely that means I was never going to use them anyway. So much plastic. Aaahhh!! And this is despite having made the decision in 2015 to switch to unpackaged e.g. solid bar soap and shampoos or refills. What I didn't do was stop using hotel products at all and I clearly didn't use up everything I already had! Many other things have been either left behind or gifted to us, but ... wow! what a lot of plastic! the unopened and barely used will become my "Make-up Exchange" box. I'll clean any eyeshadows that I still have lurking around but won't ever use. I will invite friends and family to take anything they want and anything left will go to a Women's Refuge that has been set up locally. the almost empty will be the only things available in the bathroom so they get used up. 3. Use up the stuff to use up and find suitable refillable miniature bottles to take with me when I travel. 4. Return to my solid / refill system at a later date and only buy make-up from brands with a recycling programme such as Lush. Here's a bit more about make-up exchanges on another blog post that I wrote and it gives you how to clean makeup too. This is another blog post with information about cleaning and extending the use of make-up. I hope that by this time next year (or even sooner) I will have seriously cleaned up my personal hygiene act. My bathroom will be a properly plastic free zone of peace and tranquility and much quicker to clean - I think that's probably the best bit! I wrote earlier in the year about the Blue Planet effect and what a hot topic it has become. Thank you to the BBC and to the wonderful Sir David Attenborough for making plastic pollution such a hot topic. Campaigns such as The Last Straw and Recycle Now's Plastic Planet fill me with hope that soon the life choices I make won't seem weird, but will just become normal life, for most people. Back in July 2014 I first went to my local butchers with my reusable plastic tubs and talked to them about Plastic Free July and said that I was planning to try to cut out single use plastic for a whole year. They were very supportive and I've been taking my reusable tubs there ever since. Just from that small decision, I've started a trend. A few months ago, I they told me I was one of four families now doing the same thing. Then a few weeks ago, I found out that the four has grown to five. Who will be number six, I wonder? But why do this? What's the point of it all and does it help? 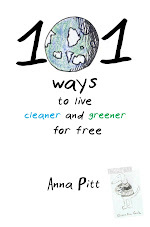 When I wrote my first book, 101 Ways to Live Cleaner and Greener for Free, it was partly a reaction to feeling that every time I looked for a sustainable alternative to what I was doing or buying, it seemed to cost me more. Take cotton buds, for example, it is not something I use very often, but I was really annoyed to find that a compostable cotton bud was more than twice the price of a plastic version. Composting toilet compared to water based system - beyond expensive..beyond my reach at the time. A growing sense of despair at finding that our growing convenience consumer lifestyles were 'costing the earth', yet the green alternative was 'costing the earth' in a different way, led me to take a look at what I could do for free in order to reduce the impact my family has on this planet. And the big thing was, I wanted to know if it made a difference. And so, I started to take a look at the maths and science behind various ways of saving resources and that became the focus of my book. Today, we've become quite adept at taking our own bags to the supermarket. When I wrote my book, back in 2012, Wales had already introduced a 5p tax on single use carrier bags, but England was yet to follow suit. However, some shops had already introduced a 5p charge on plastic bags. This enabled them to monitor the number of bags given out and compare that to the number of bags given out before the charge. Looking back at my book today, I see that Marks and Spencer and Sainsbury's were among the supermarkets to be monitoring the reduction in plastic bags and willing to share their figures. I found evidence that the combined carbon footprint saving was 9356 tonnes - the equivalent to taking 1835 cars off the road. A recent DEFRA report tells us that over 6 billion fewer bags were given out in the year from April 2016 to April 2017, i.e. since the introduction of the tax. 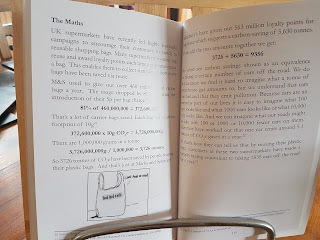 According to the research I did in my book, each bag has a saving of 10g of carbon dioxide equivalence (the measurement for carbon footprint) so that would mean an equivalent saving of 60 million tonnes of CO2. I make that the equivalent of over 11 million cars being taken off the road. 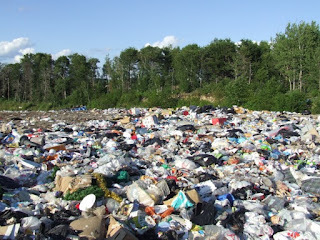 I want to reduce my use of resources all round, but I find I particularly want to reduce single-use plastic, because this is the resource I find is often used unnecessarily, and it forms the rubbish I see mostly littering the countryside I live in. Further, it is the rubbish that when discarded in the wrong way, travels most easily and causes the most damage, it seems. I think this is now the fifth year that I've joined in with Zero Waste Week, and blogged about what I've learnt and the changes I've managed to make. I know there are some interesting things that are in store for us, and although I'm already well on my way with the Zero Waste Path, there's still a good way to travel and it is easier to journey with like minded people travelling in the same direction. I want to find at least one more things that I can do to reduce my consumption of single-use plastic. I've got my non-recyclable waste down to less than a bin full per year, I've reduced my recycling enormously through small lifestyle changes and reuse, yet I still see plastic all over my house. So I know there's still something out there for me. What will it be? Simple money-saving tips to green up your life and make the world smile Have you got your copy?